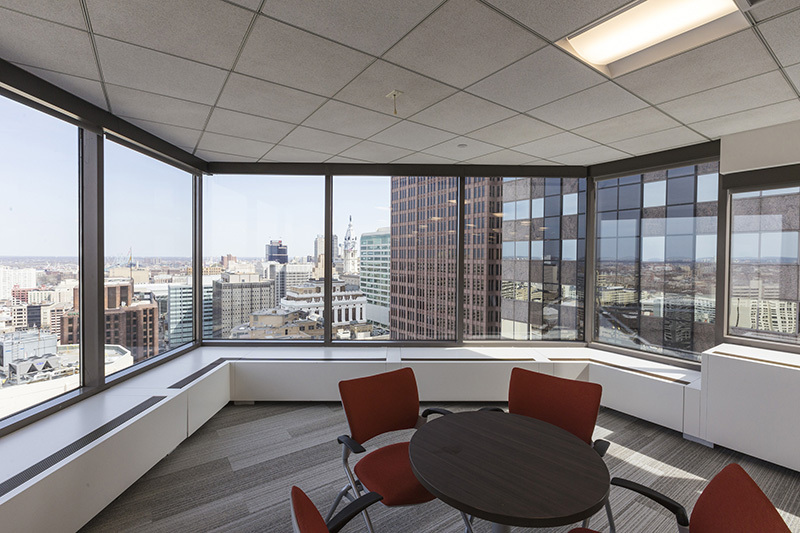 One Logan Square is an architecturally distinctive, 31-story Trophy-office tower located in the heart of Philadelphia’s Central Business District. 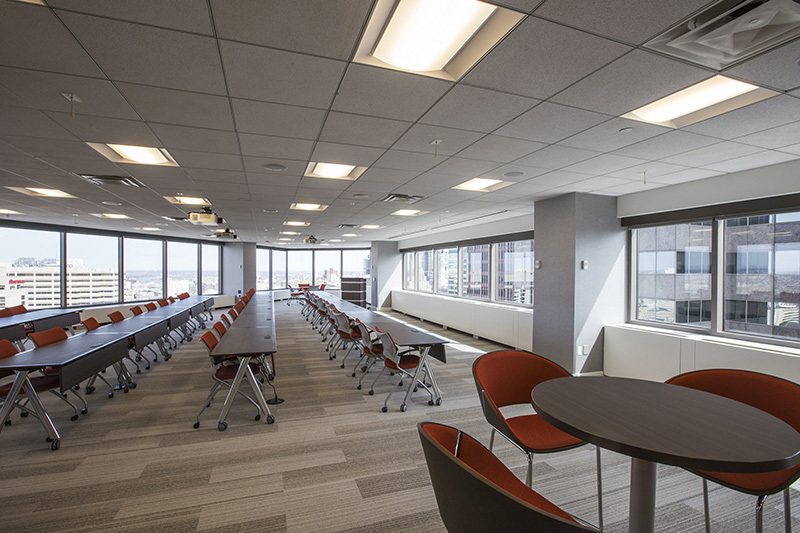 The ENERGY STAR-certified skyscraper overlooks the Benjamin Franklin Parkway and is connected to a boutique hotel and farm-to-table fine dining restaurant. 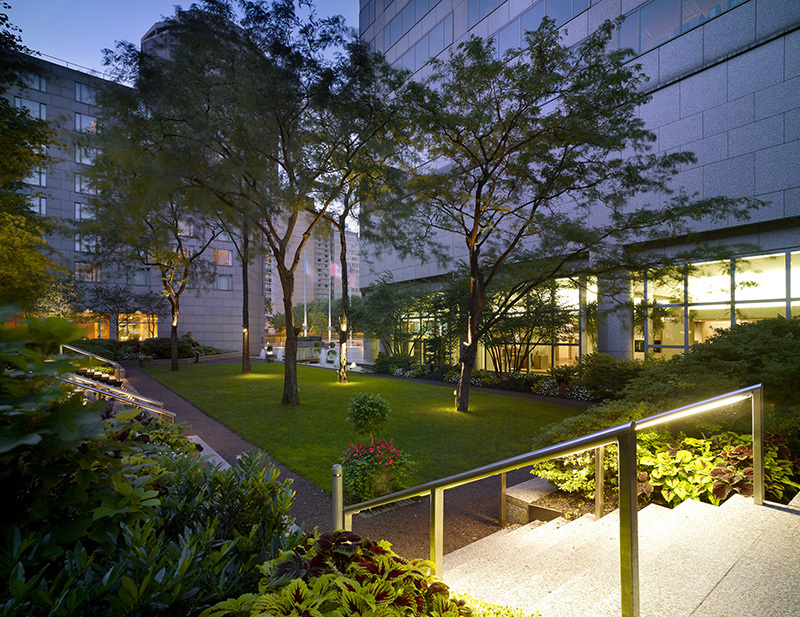 As part of Brandywine Realty Trust’s signature transit-oriented development at Logan Square in Center City, One Logan Square benefits from nearby multimodal transportation options such as SEPTA’s Suburban Station underground concourse and street-level Indego (Philly Bike Share) stations. 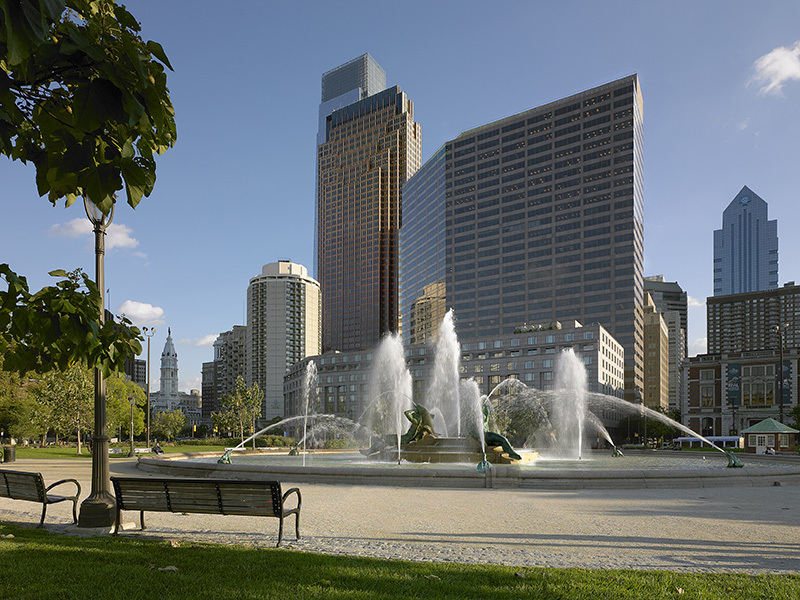 The many cultural charms of “America’s Most Artistic Mile” are within blocks of One Logan Square’s doors: Sister Cities Park, the Cathedral Basilica of Saints Peter & Paul, Swann Memorial Fountain, the Free Library of Philadelphia, the Barnes Foundation, the Rodin Museum, the Philadelphia Museum of Art, the Franklin Institute, and more. Tenants and guests of One Logan Square enjoy complimentary access to Brandywine’s Wifi network in the lobby and plaza areas, as well as the city’s first TransitScreen display featuring real-time, location-based public transportation updates. 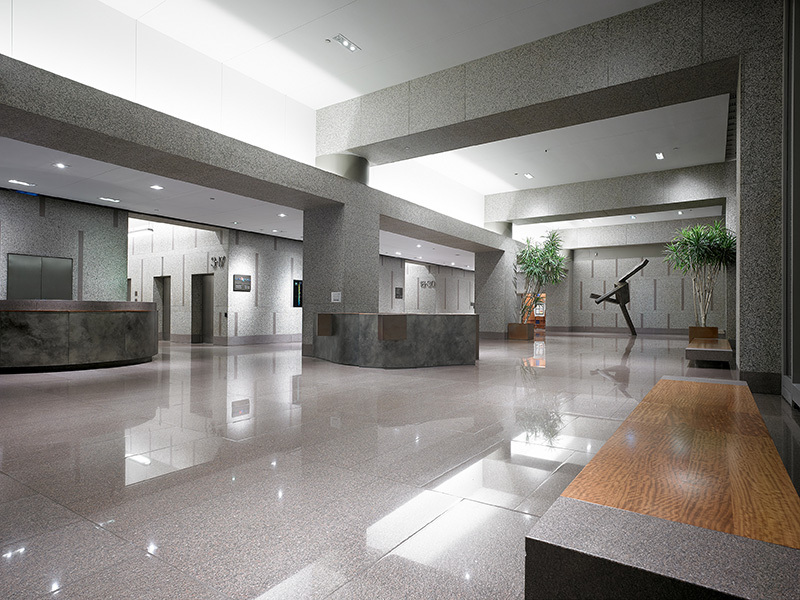 The 595,014 square foot tower is home to such elite Philadelphia corporations as Blank Rome LLP, Drinker Biddle & Reath LLP, and Hangley Aronchick Segal Pudin & Schiller. 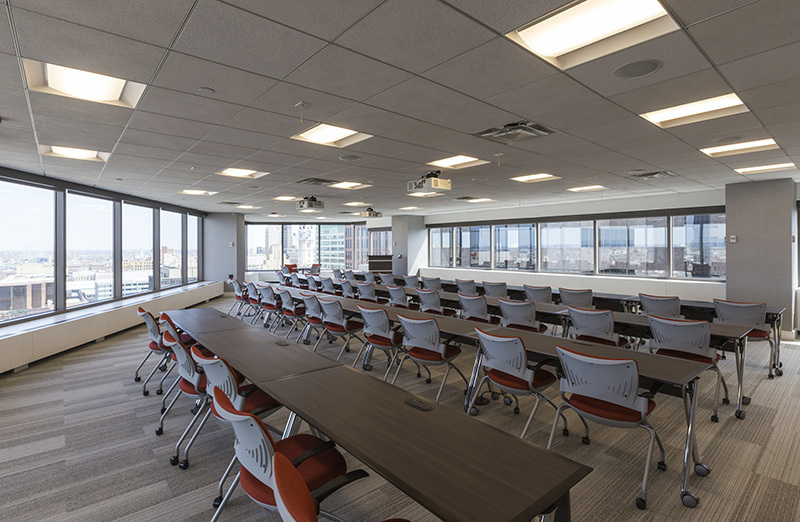 Located on the 49th floor of Three Logan Square, this state of the art fitness center is for the exclusive use of tenants at One, Two and Three Logan Square. There is premium quality exercise equipment, classes and amenities as well as incredible views. The facility is staffed with qualified health and fitness professionals ready to assist you with your wellness needs. 215-655-8678 or email 3logan@logansquarefit.com.